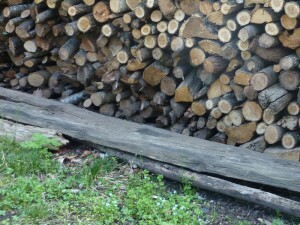 Spring in the Basque Country (1): ¿Madera? No, leña. We have just moved to the Spanish Basque Country for three months, to learn Castellano. “I don’t know,” he continues. Nobody here buys wood. They just cut it down. If you don’t own a forest, you find someone who does. Finally I discover a timber yard. I am confronted by a gigantic crane, with jaws capable of lifting several complete tree trunks at once, being driven by a man of similar dimensions. “I would like a few branches for my stove,” I explain timidly. No problem. I drive into the hanger and we fill up the back of the car. Kindling, he says, is free. 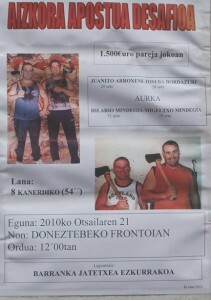 On a wall of the nearby town of Doneztebe is a poster. Four hulking blokes with their names and ages, four axes, a large pile of leña, a date and a time, and “1500 euros”. The rest of the poster is in Basque, so I have to ask one of our new neighbours to translate. 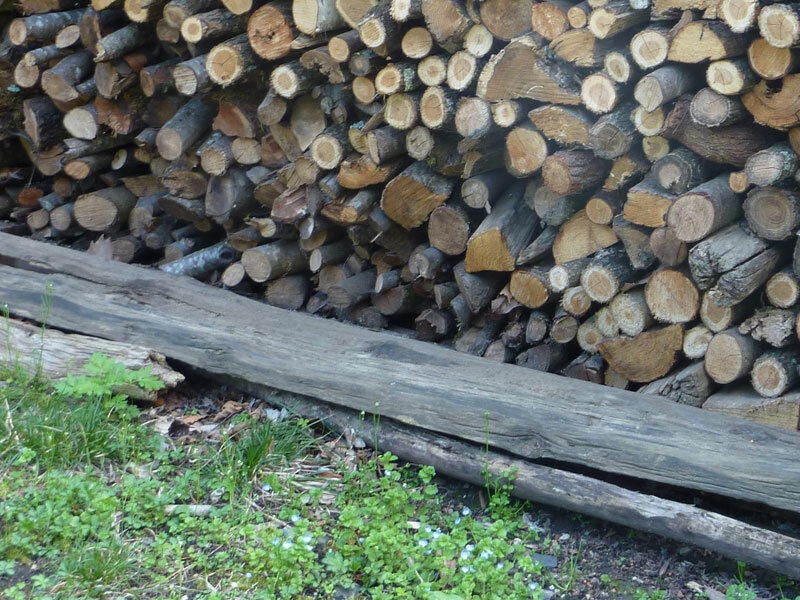 It’s a private bet on who can cut the most wood, with the 1500 euros going to the winner. Although the town only boasts 1500 inhabitants, it has five different shops offering various degrees of equipment for dealing with anything from a twig to a forest. Big Mat is the largest building in town. The Iraty forest, a stone’s throw from here, is the largest beech forest in Europe covering 173sq km. Second lesson: although the hills abound with sheep pasture, they take wood seriously here. This entry was posted on Sunday, April 11th, 2010 at 2:37 pm	and is filed under Uncategorized. You can follow any responses to this entry through the RSS 2.0 feed. You can leave a comment below, or trackback from your own site.